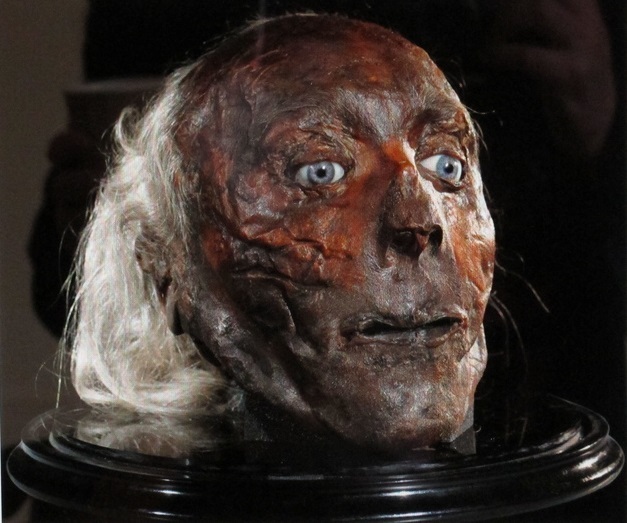 Jeremy Bentham was apparently quite a character. As well as being an influential philosopher and jurist, he was probably the first ever Englishman to donate his body to medical science when he passed away in 1832. Even more unusual was his request that his body should then be turned into what is known as an ‘auto-icon’. This is exactly what happened, and Bentham’s auto icon can now be found in the cloisters of University College, London. 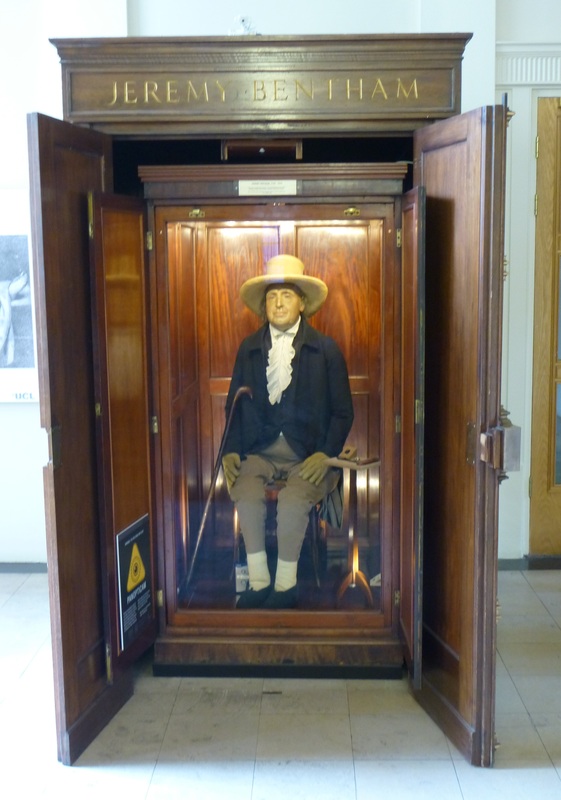 Sitting in a rather smart wooden case, Bentham’s auto-icon may looks like the kind of waxwork figure that you might expect to find nearby at Madame Tussaud’s. In fact this is Bentham’s actual body, with his articulated skeleton hidden below his smart outfit and his real hair sticking out from underneath his wide-brimmed hat. 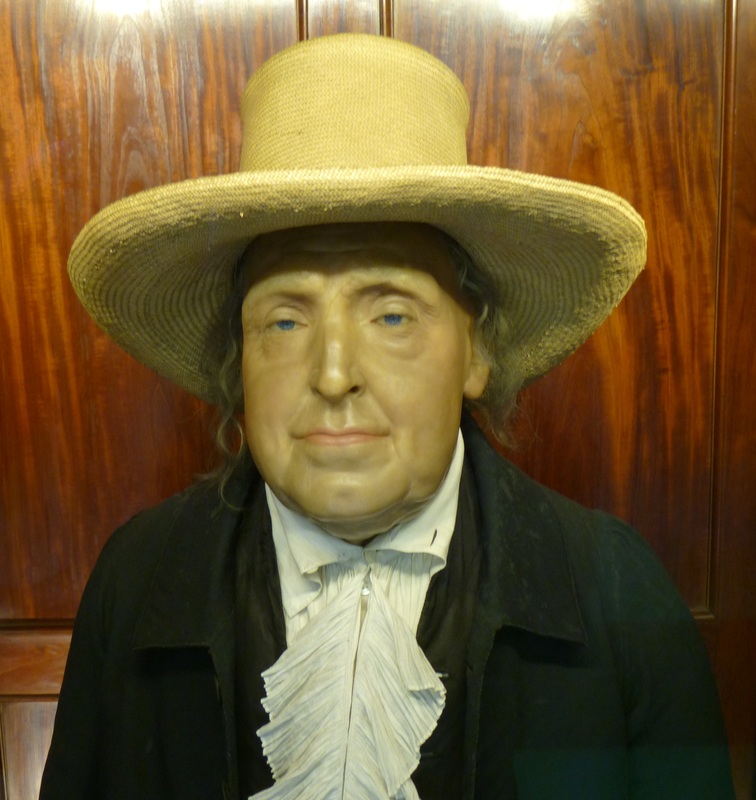 The head which currently sits on the figure is indeed wax, but Bentham’s real head still exists. It used to be exhibited at the feet of the auto-icon, but curators recently decided that it was just too fragile to leave on display, and it is now safely kept in temperature-controlled storage. I must say I was rather glad to hear it – if you think the figure is kind of spooky, wait until you see the head…! A number of strange tales have appeared over the years concerning this bizarre figure. One relates that Bentham’s body was put into storage by the College in 1955, with creepy consequences. It seems that Jeremy was not too happy about being hidden away, and his vengeful ghost went on regular rampages throughout the college until he was finally put back in his rightful place in the cloister. Another story tells that the head was only taken off public exhibition after its theft by rowdy students from Kings College, who ended up using it in a game of football. 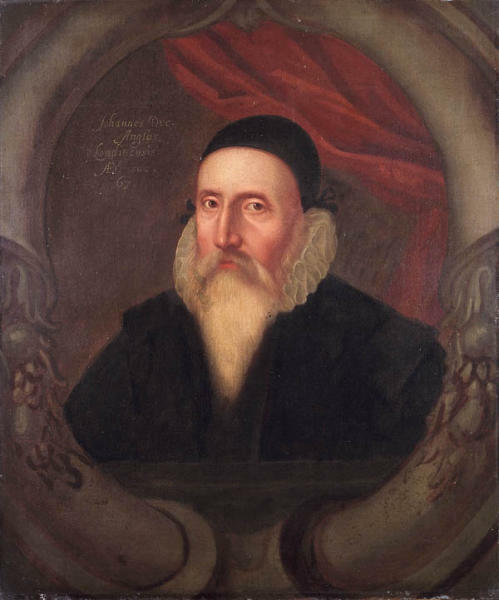 It is also said that Bentham is still taken into meetings of the College council, and that it is recorded in the minutes that Mr Bentham is ‘present but not voting’. The latter two are apparently just myths. As for Bentham’s ghost, well I will leave it up to you whether you believe that one. Under a traffic island in on a busy road next to London’s Soho district is perhaps not the most obvious place to look for magic. But strange things can be found in the most unexpected places. Back in Victorian times, Little Compton Street was a bustling lane which joined Old and New Compton Streets. 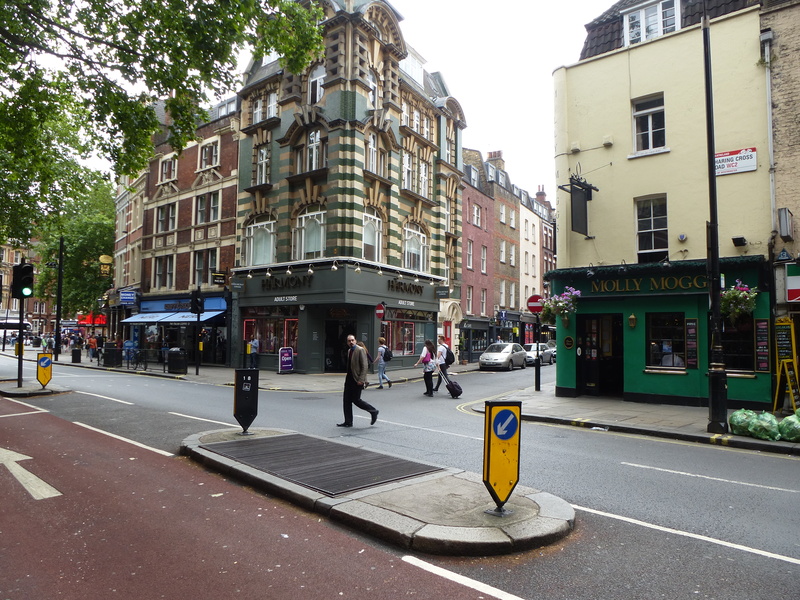 In 1896, however, the area was largely demolished to make way for Charing Cross Road, and the street level was raised. If you look carefully, however, you can find an intriguing remnant of Old London right beneath your feet. 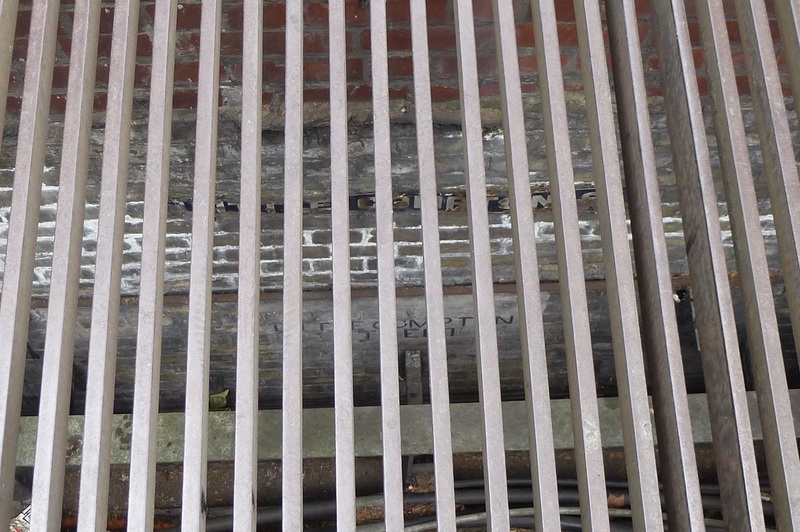 Below the unassuming grate in the middle of Charing Cross Road can be seen a wall still bearing not one, but two street signs for the now-buried Little Compton Street. Not quite a secret street perhaps, but this is still a rather magical remnant of London’s fascinating past, and one which most people pass over without ever even knowing it’s there. It’s hard to know how to define the term ‘Folk Art’, the subject of a current exhibition at London’s Tate Britain. It is often created by self-trained artists, although I should think many of its makers would not think of themselves as artists. Some of it could be described as ‘craft’ as opposed to ‘high art’, but many of the objects in the exhibition were created using incredible skill and effort. A number of the pieces on show were linked with local traditions and customs. Some of them are downright bizarre. But, as you have probably guessed, a fair few of them were also pretty magical. The show gets off to a great start with an impressive yellow wall lined with a selection of shop signs of all shapes, sizes and dates. One takes the form of a giant shoe, fashioned and stitched perfectly from leather just like its normal-sized counterparts. 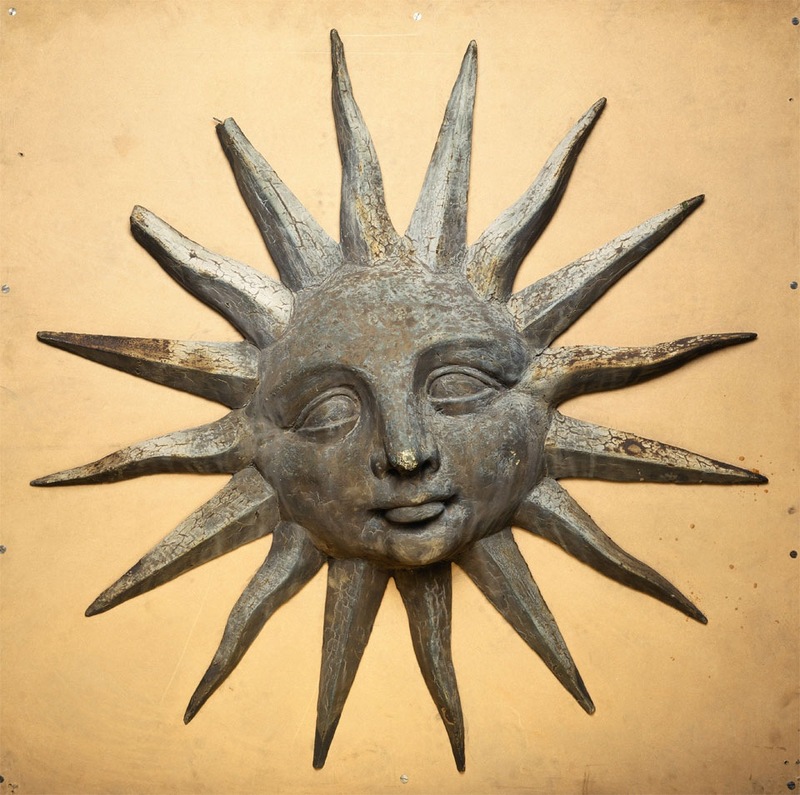 A wonderfully enigmatic sun hangs at the top of the display, looking down on the gallery visitors with a hint of a smile. 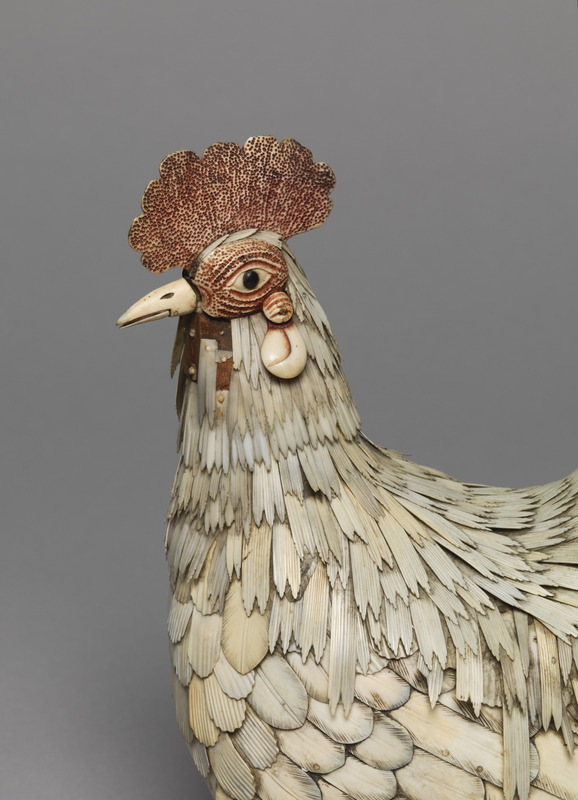 Another highlight of British Folk Art is a beautiful life-size cockerel created out of mutton bones by French prisoners of war during the Napoleonic era. Each of its feathers is intricately and individually carved, transforming the most basic material into something lively and enchanting. 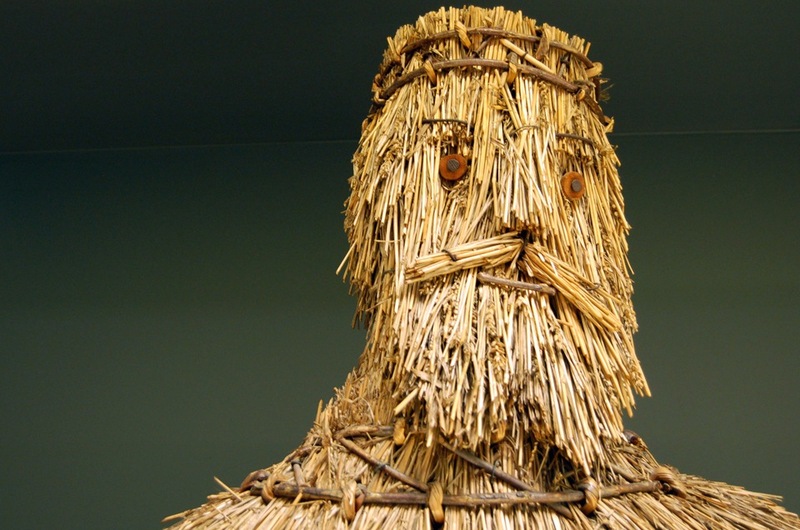 Definitely the most extraordinary object in the exhibition is this life-size straw effigy of King Alfred. Reminiscent of the terrifying final scene in cult classic The Wicker Man, it’s hard to get a sense of just how imposing and spooky this figure is without encountering it in person. 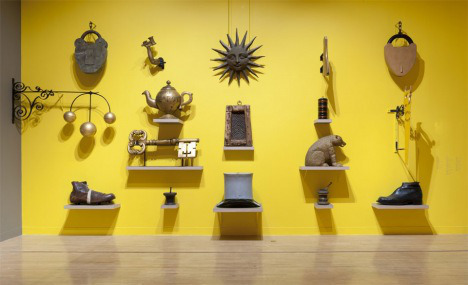 All the more reason to check out British Folk Art at Tate Britain, and experience a branch of the arts that, despite generally being overlooked, often retains an ancient, even mystical sense of wonder. Details on visiting British Folk Art can be found here. All images copyright the Tate. There’s been outrage in Kensington over the last couple of weeks. 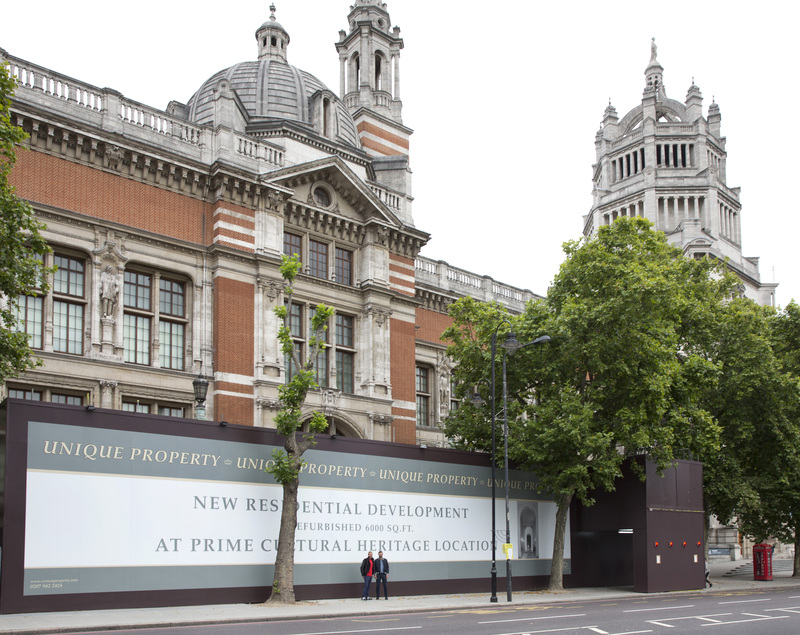 Passers-by can’t help but notice the enormous billboard outside the world-renowned Victoria and Albert Museum announcing that a luxury flat is for sale within the museum itself. Shocked locals are calling up to express their disgust at the idea that part of this historic institution is being sold off. A few people have been in touch expressing an interest in buying it. All of them have been informed that the billboard is an elaborate wheeze created by artistic duo Elmgreen & Dragset as part of their latest installation, entitled Tomorrow. I was lucky enough to attend an evening private view of Tomorrow this week. 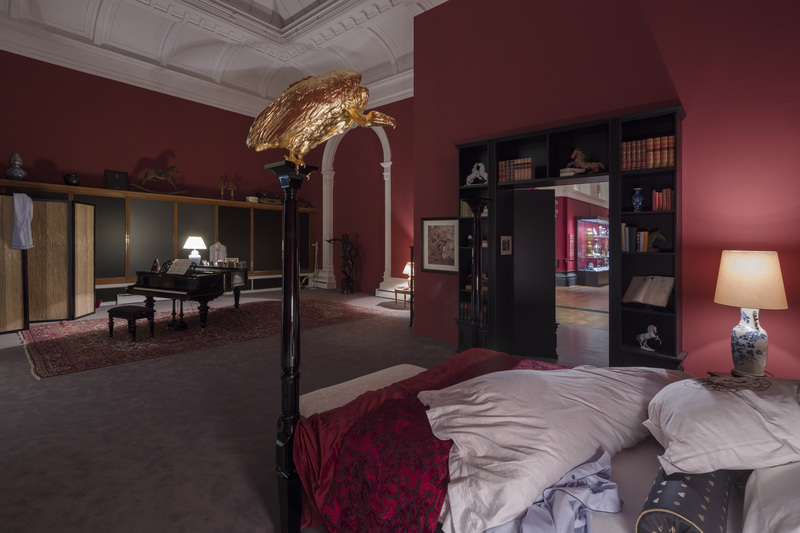 Typically of Elmgreen & Dragset, the installation involves a complex back story – in fact they describe the work as the set from an unrealised film. Grand galleries which once housed the V&A’s tapestry collection have been magically transformed into a vast apartment, the home of ageing architectural academic Norman Swann. Born to a wealthy family, Swann has never quite lived up to his potential; none of his designs have ever been built, and now he is old and washed up, out of money and being forced to put the apartment on the market. Visitors to Tomorrow are invited to stroll around the huge, rather soulless chandelier-lit space, taking in the massed ephemera of Swann’s long life. But things are never quite what they seem in Elmgreen & Dragset’s world. Take a look beyond the expensive antique furniture and opulent oil paintings and you will notice lots of strange details dotted around the installation. A crack snakes it way across the huge dining table, cutting through the plates on top and the chairs which sit around it. 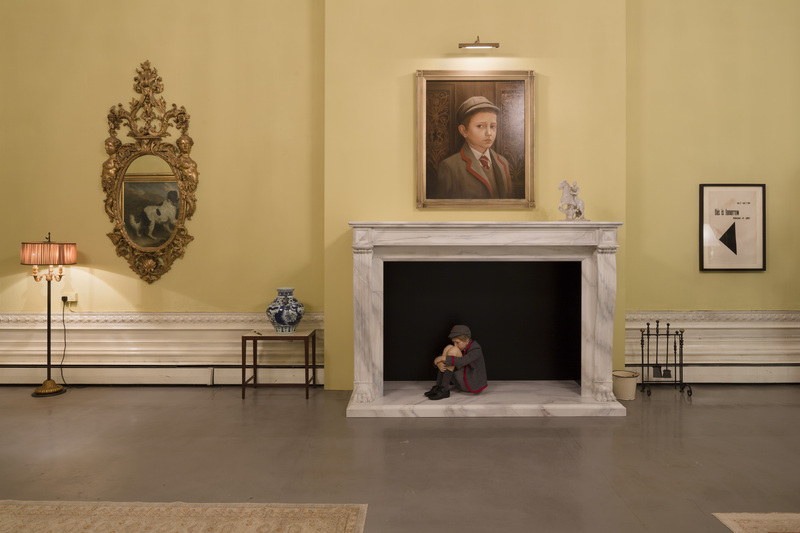 A lifelike mannequin of a schoolboy cowers in a fireplace below a painted portrait of himself. A spooky dummy in a French maid’s outfit stands frozen in the hallway. A gilded vulture leers expectantly over Swann’s luxurious bed. Elmgreen & Dragset provide visitors to the show with a booklet which they have written themselves, a script to the so-called ‘unrealised film’ for which this apartment is the set. I prefer to dream up my own narrative to fit the scene. As you wander around Tomorrow it is impossible not to let your imagination ramble through all sorts of bizarre, magical connotations. What the script that you concoct will look like, well who is to know? The possibilities are tantalisingly endless. 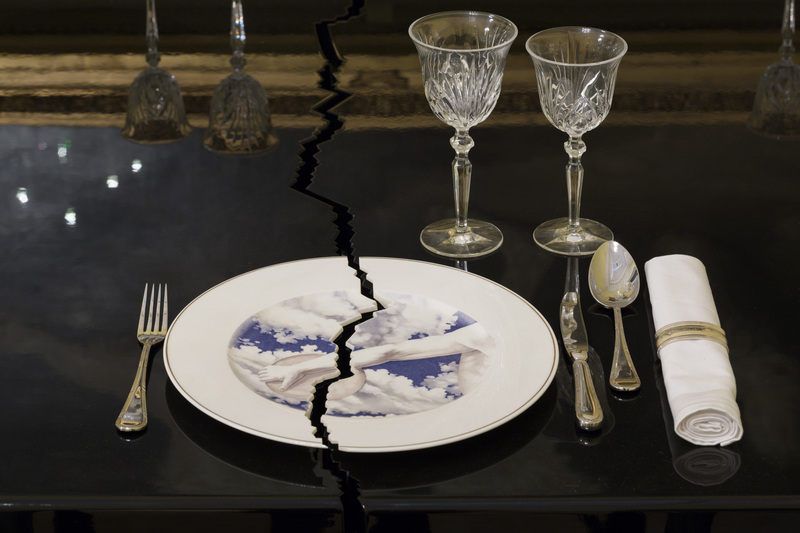 Elmgreen & Dragset’s Tomorrow will be open until 2nd January 2014 at the Victoria & Albert Museum in South Kensington. Whenever I visit the British Museum, my first stop is always the Enlightenment Gallery. 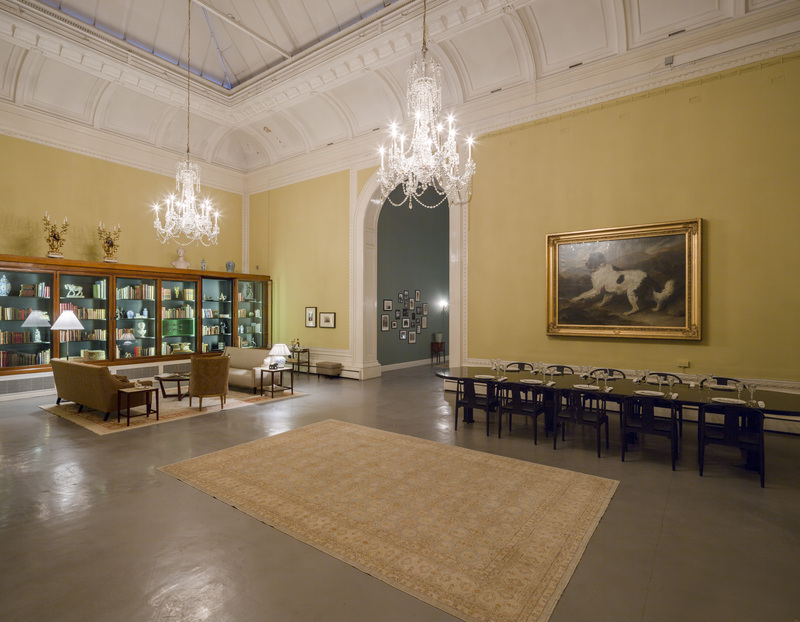 This long, high-ceilinged room is lined with old-fashioned wooden display cases containing some of the objects that formed the original collection of the Museum, many of them donated by its founder Hans Sloane in the mid-18th Century. Although it is now known as a vast repository for historical objects, when it was first created the British Museum also included all sorts of wonders and curiosities, including natural specimens, books and manuscripts. With its diverse selection of weird and wonderful exhibits, the Enlightenment Gallery is reminiscent of the Cabinets of Curiosity which were so popular in Europe during the 17th and 18th Centuries. 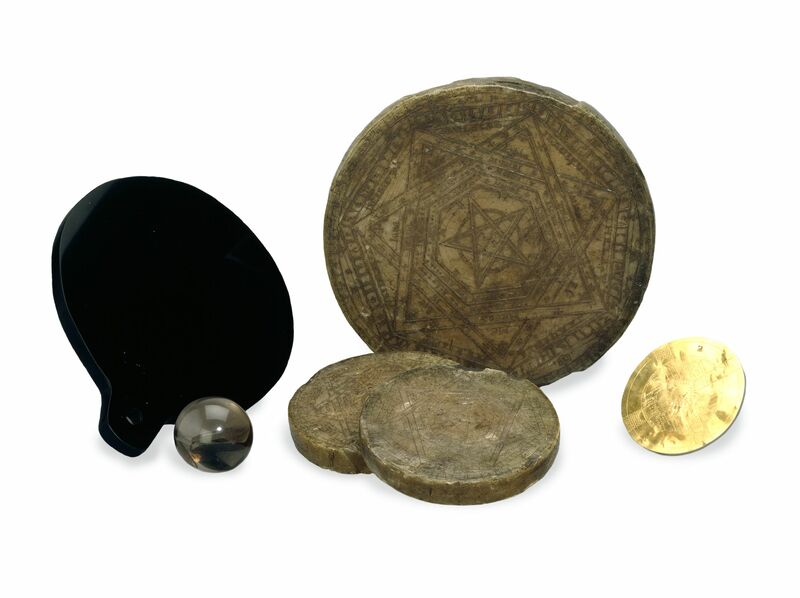 Not surprisingly, amongst the coins, ancient sculptures, Greek pots and other treasures can be found a number of distinctly magical objects. My favourite is the tiny Merman, who skulks in the shadows of one of the lower cabinets near the middle of the room. 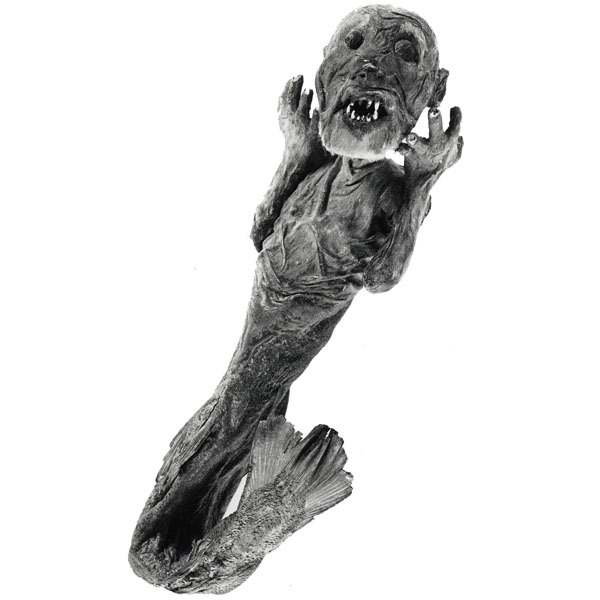 With its withered face, shocked expression and spiky teeth, the Merman is a scary little thing. Apparently the original owners claimed that it had been captured in the sea near Japan. Those cynical curators at the British Museum think that it might not be authentic, and is in fact the top half of a monkey stitched on to a fish tail. But I am not so sure. This week I stumbled across a rather intriguing exhibition at London’s Ronchini Gallery, entitled Dream No Small Dreams. 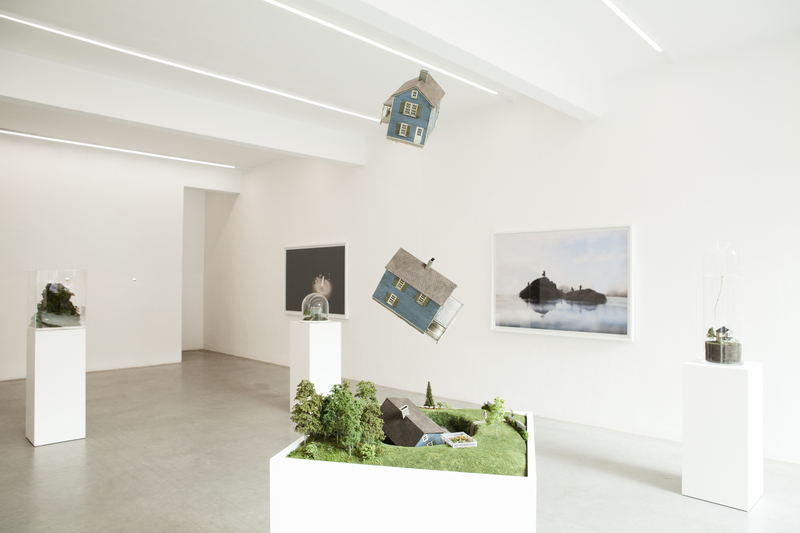 The show features the work of three artist; Adrien Broom, Thomas Doyle and Patrick Jacobs. 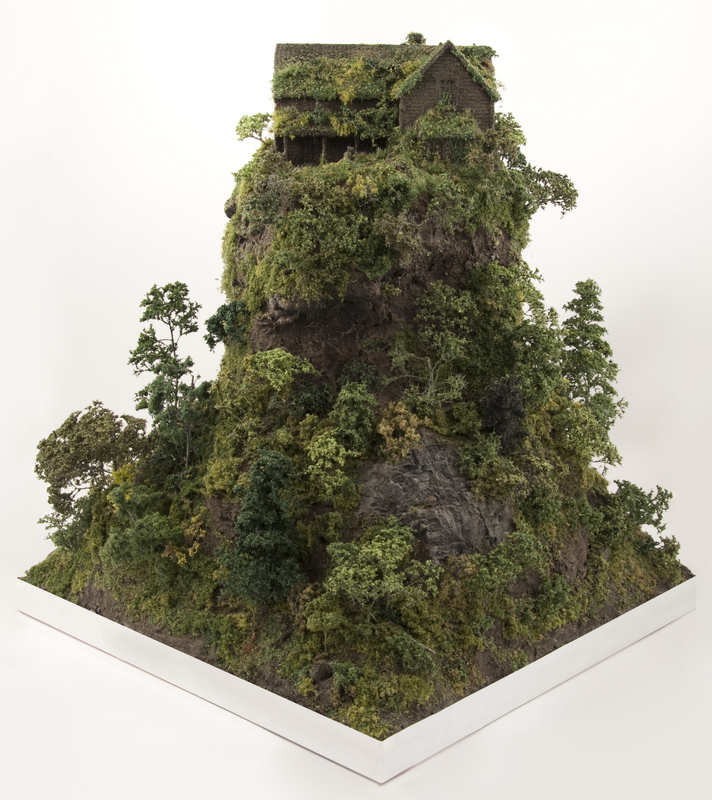 All three share an obsession with small-scale fantastical worlds, each using different techniques to create their own miniature, magical alternative realities. Broom’s Frame of Mind photographs portray imagined landscapes inhabited by tiny ‘Borrowers’ style figures. They are cinematic in their scope, if teeny-tiny in their execution. Thomas Doyle’s sculptural scenes of destruction, disaster and mayhem are intricately detailed and beautifully executed, all of them housed in elegant glass domes. They present a bizarre, unsettling world where typical suburban homes are swallowed up by sink holes, lifted off the ground by hurricanes or smothered in overgrown Cinderella-esque vines. 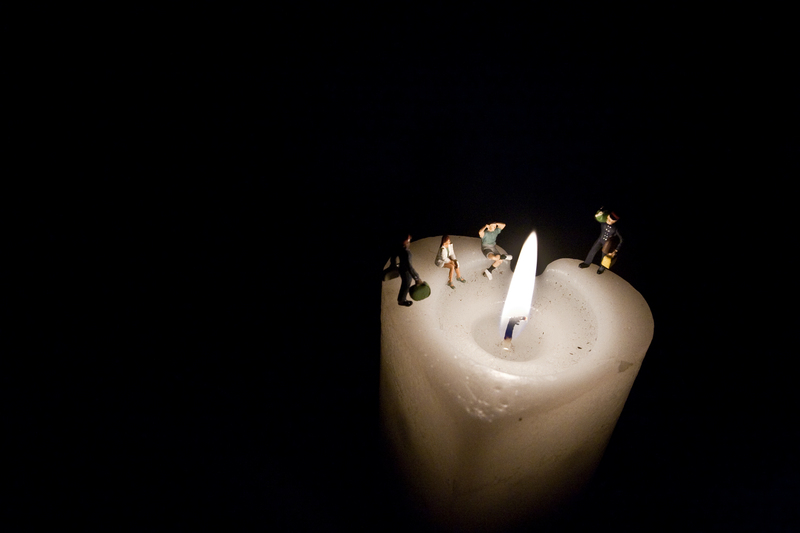 Meanwhile, the pint-size protagonists who inhabit them seem blithely unconcerned by the strangeness that surrounds them. My favourite exhibits in Dream No Small Dreams were without a doubt the hyper-realistic sculptures by Patrick Jacobs. 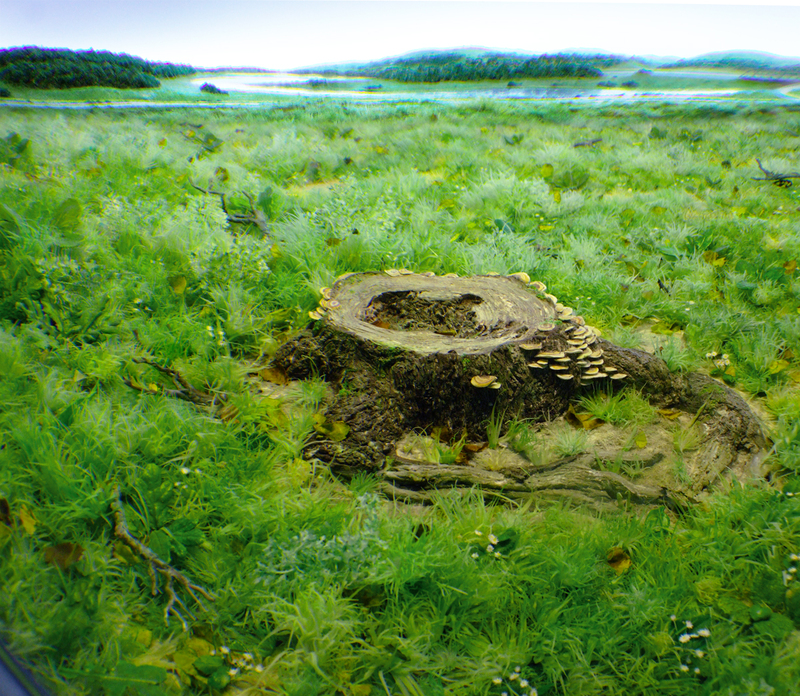 Embedded into the wall and viewed through tiny ‘fish eye’ portholes, these glowing landscapes have more than a hint of the fairytale about them. 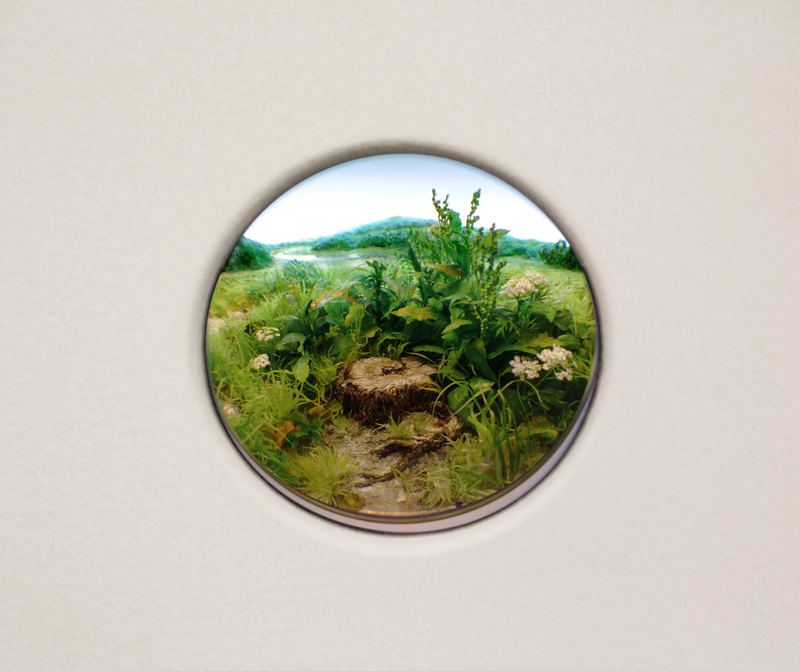 Jacobs’ teeny weeny dioramas feature sublime vistas of trees, meadows and rolling hills, and are created from an unusual selection of media, including styrene, acrylic, ash, talc and hair. The skill involved in creating these unfeasibly realistic scenes, with each leaf and blade of grass perfectly and fully formed, is astonishing. It isn’t an overstatement to say that I could almost feel with warmth of the summer sun on my face as I gazed through the tiny windows into these magical, miniscule panoramas. Check out Patrick Jacobs’ website here for more wonderful works. It’s hard to get a true impression of their impact from photographs, so if you ever get the chance to see his sculptures in person I recommend you take it. You won’t be disappointed. Dream No Small Dreams, curated by Bartholomew F. Bland will be at Ronchini Gallery London from 6 September to 5 October, ronchinigallery.com.